"A fast-paced story of father and son, packed with misadventures and set against the backdrop of contemporary Jamaica . . . . Ellis sets his story in 2008 Jamaica, where 'old people are burnt in their homes for no reason at all; stubborn old men are slaughtered by gunmen'—where 'it is so easy to get away with murder.' This milieu adds a great deal of tension . . . . Well-constructed . . . . Admirable." 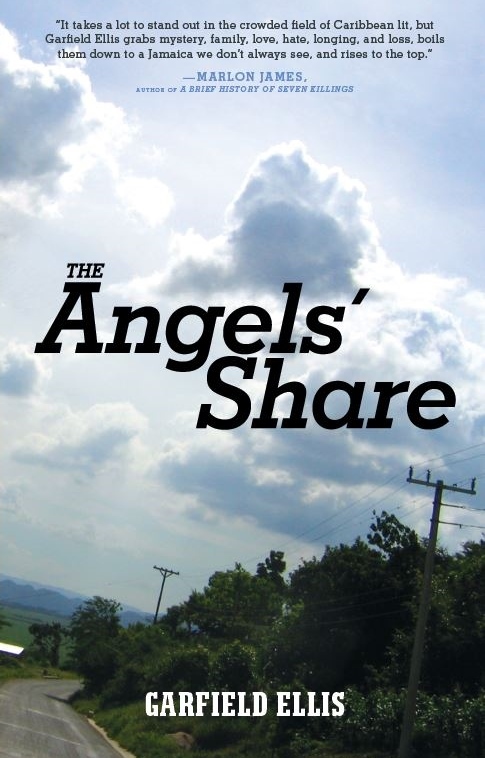 "The Angels' Share is Garfield Ellis's passport to the center of the literary world. Ellis is a writer of tremendous talent with that rare quality that can only be called bigness." "Ellis inhabits his story of a lost-and-found father and a host of engaging characters and breathtaking incidents with skill, humor, and honesty. A page-turning read." Send Garfield Ellis an email or request booking for Readings or Motivational talks. Enter your email address below to sign up for the Garfield Ellis Mailing List.